Nearly everyone is aware of Coleman Barks’ bestselling English versions of the Persian poems of Jalāl ad-Dīn Rūmī, and most educated readers of Barks are by now aware that his “translations” are not translations at all, Barks having no Persian: they are retooled versions of earlier English translations. But we forgive Barks the false advertising found on the title pages of his works (“translations by . . .”) because he has several times in print admitted the truth of the matter, and because his poems based on Rūmī’s are so often very good, providing spiritual inspiration without departing too far from the original. Both Barks’ and Ladinsky’s publications exist at different places on the spectrum of cultural appropriation, which essentially refers to a member of one culture borrowing elements of another culture and repurposing them in a way that to some degree distorts their meaning—often in a way that indicates that the appropriator is ignorant of, or insensitive to, the meaning of those cultural elements in their original context. Going further, cultural appropriation is viewed in postcolonial and feminist theory as oppression when the borrower is the member of the cultural majority and is appropriating from a marginalized or minority culture, such as one that was previously colonized by the majority culture (e.g. India). The American yoga and kirtan scene is of course rife with cultural appropriation that implies insensitivity to traditional Indian culture. This fact is spoofed in clever Internet memes like ‘Gandhi Does Yoga’ and exemplified by privileged white “kirtan artists” that mispronounce, mistranslate, and even fabricate mantras, as well as by countless American “yoga” teachers that have only the most superficial understanding of the cultural background of the very practice they are trying to teach. Some appropriators, like Leslie Kaminoff, justify their appropriation with specious arguments that yoga is not really Indian because it is part of nature itself, and therefore was not invented but only discovered by Indians. In fact, though yoga addresses and interacts with biological bodies and minds, it is a cultural product and can only be understood with reference to the culture that birthed it and shaped it for 99.9% of its lifetime so far. People who comment on the nature of yoga based on their knowledge of literally 4% of its history are displaying not only unintentional hubris, but also lack of awareness of the degree of education required by the tradition itself in order to be qualified to speak on it and represent it. Sutra Journal has, since December, been publishing the work of Lorin Roche, an author and poet who I argue is also a cultural appropriator, one closer to Ladinsky than Barks on the spectrum because like Ladinsky he is, in my view, guilty of a subtle kind of intellectual dishonesty as well. The present article seeks to demonstrate the validity of these statements. Specifically, Roche has appropriated a medieval Sanskrit text whose original title is the Vijñāna-bhairava-tantra (literally, “The Scripture of the Bhairava who is Consciousness”) and re-presented it as The Radiance Sutras, a book of original Roche poetry presented in juxtaposition with the original Sanskrit text of the Vijñāna-bhairava in a move clearly calculated to imply to the reader that it is a translation. The thing is: it isn’t. It cannot be called a translation in any sense because Roche has no knowledge of Sanskrit grammar (sa ṃskṛta-bhāṣā-vyākaraṇa). And indeed, Roche sometimes has the sense to refer to his poems as “versions” of the Vijñāna-bhairava rather than translations, while other times he does claim the ability to translate. But he never tells the reader, either in his book or in his articles for Sutra Journal, that he cannot read Sanskrit (here “to read Sanskrit” means to understand the rules by which the Sanskrit language generates meaning). Now, since Roche knows well that the majority of his fans and followers assume he does understand the language, and he is careful not to disabuse them of this assumption, wouldn’t this be a case of blatant intellectual dishonesty? It would, except for the fact that Roche believes that what he has produced is just as valid as what any professional Sanskrit scholar might produce. This is because he believes that the text of the Vijñāna-bhairava-tantra mystically speaks to him and reveals its inner meaning directly, without necessity for grammar or book-learning. I will explain below exactly how he goes about producing poems that often have little relation to the Sanskrit text while yet believing he has produced a valid translation that captures the essence of the text. The purpose of this article is not to attack Lorin Roche as a person; through mutual friends, I hear he is a warm-hearted individual and a good man, and I am sure he has the best of intentions. Rather, critically examining Roche’s particular form of cultural appropriation will reveal to us fascinating features of the American spiritual landscape and help us to understand how different that landscape is to that of India 1200 years ago, and why American appropriators nearly always distort their Indian sources. Secondly, it will reveal (and explain) some common misunderstandings about the nature of the Sanskrit language. Finally, it gives me the opportunity to offer suggestions to Westerners about how to approach the spiritual technologies found in Sanskrit sources for personal spiritual benefit while simultanously respecting the source culture. Why I am so interested in Roche’s appropriation in particular, when he is far from the most egregious appropriator? Because the text that he appropriates is a central scripture of the Trika lineage of Śaiva Tantra, a lineage which I study professionally as well as practice within personally. It has therefore disturbed me to see a sacred text of yoga from my tradition presented to the Western public as little more than a justification for hedonism (i.e., mental or sensual pleasure as an end in itself). 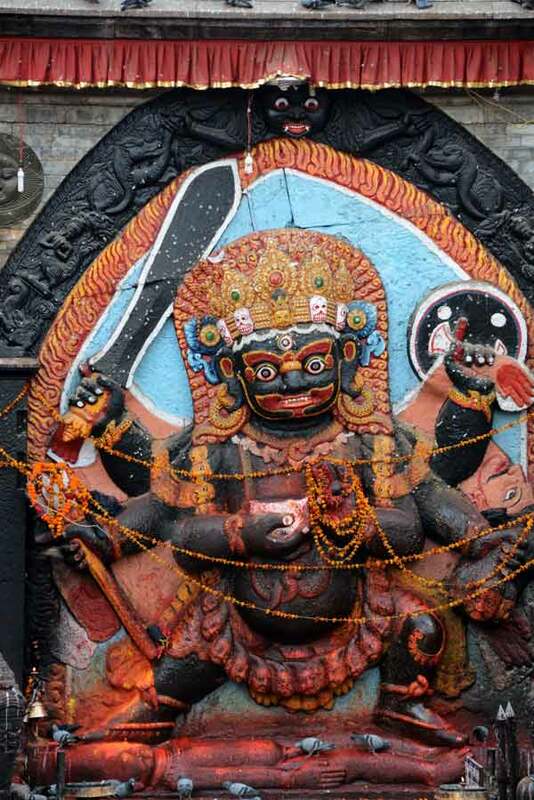 Even more importantly, I am concerned to alert readers to the fact that the real teachings of the Vijñāna-bhairava, correctly translated, are doorways to liberation much more powerful and precise than readers of The Radiance Sutras could suspect. Therefore in this article I attempt something unusual: it is both a critical commentary by a professional Sanskrit scholar and a demonstration that scholarship and spiritual sensitivity are not mutually exclusive. I hope to provide the reader with a direct link to the teachings of the original scripture and show that accurate translations can also be spiritually powerful. In this way, I hope to demonstrate that last century’s divide of scholarly vs. inspiring, accurate vs. juicy, intellectual vs. spiritual is no longer relevant. It is time to restore the connection between intellectual rigor and spiritual inspiration that characterized Indian literature before foreign conquest. This article is a small contribution in that direction. First we will address specific problems in translation and cultural mediation, then I will present examples of accurate translation from the Vijñāna-bhairava-tantra, then discuss the implications of all that we have considered. This is at odds with the scripture itself, since it presents a theology of Shiva-Shakti (or rather, Bhairava-Bhairavī) in which the former is interpreted as spacious, still, silent awareness and the latter as flowing energy and sensual experience. 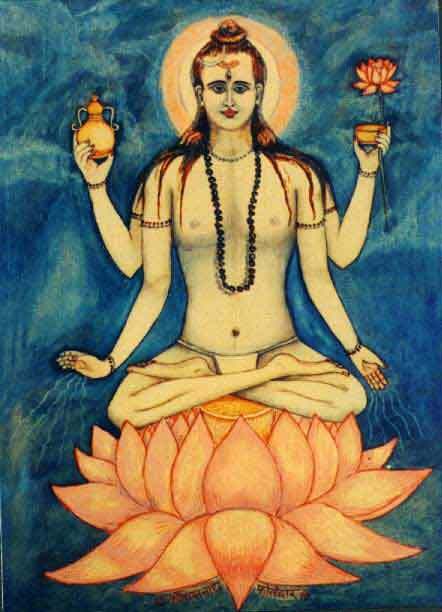 In his writing, at least, Roche is not interested in the Shiva-state but only the Shakti-experience, which is ironic because the whole goal of the scripture is to use Shakti experiences to access the deeper state of stillness and quiescence associated with Shiva, a state is presented by the text as ultimate. 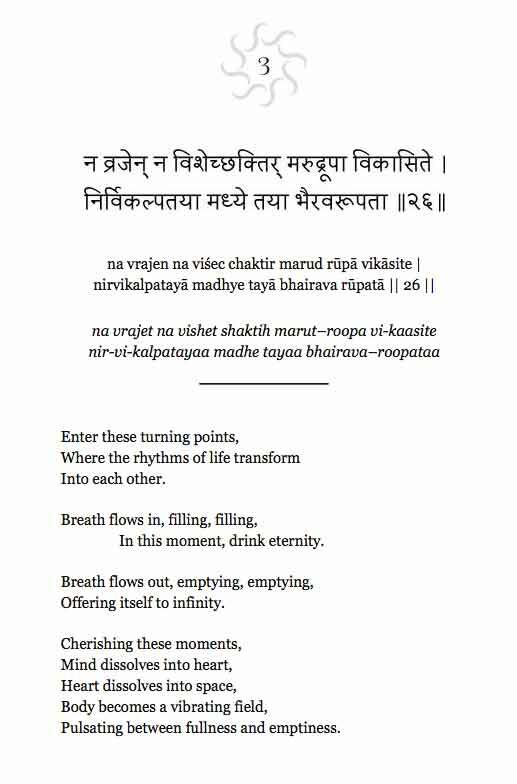 Roche’s poems consistently force verses about Shiva-focused practices towards Shakti-type language: we find poetic evocations of sensual experience, of dancing, shimmering, undulating, flooding, thrilling currents (etc.) replacing injunctions to undo the mind’s tendency to grasp after the objects of the senses by riding the wave of sensual energy inward toward deeply still, silent, spacious presence. In the original, less than a dozen verses focus on pleasure or intensity of sensual experience (e.g., 68-74), and a few verses specifically repudiate Roche’s whole orientation (such as 67 and 96, on turning away from the objects of desire, and 129, on withdrawing the mind from the world). Indeed, the scripture characterizes itself as giving teachings that lead the aspirant to the “waveless state” (nistaraṅga-upadeśa, v. 139), i.e. a state of cessation ( nirodha), of total inner stillness. In pointing this out, I am not discounting the crucial role of Shakti in the text, just observing that the text sees Shakti as the doorway to Shiva (vv. 19-20; for translation see the Appendix below). Notes: this chart, which I made a long time ago, is slightly misleading in that ‘Awareness’ should read ‘Pure Awareness’ (since all of the dhāraṇās involve awareness). In ‘Intensity of Ex.’, the Ex. stands for ‘experience’. Bhāvanā can also be translated as ‘contemplative meditation’. Finally, he mischaracterizes the text as being unconditionally permissive, when in fact it presupposes the mental and physical discipline standard to all forms of yoga in the medieval period. In this he is simply dragging the text toward his worldview, formed as it was in late 60s/early 70s California, an era prominently characterized by a “do whatever feels good” ethic and intensified sensual experience through psychedelics, both of which are apparent in his poetry. 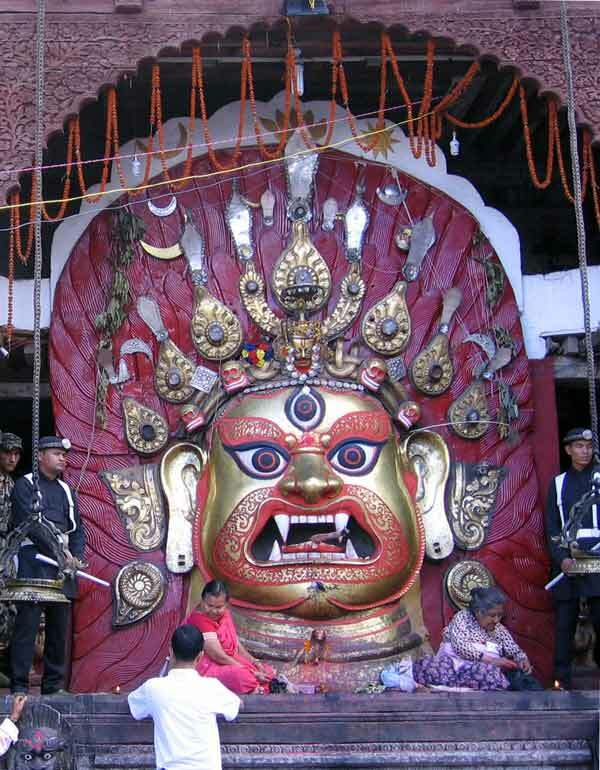 Though the Vijñāna-bhairava-tantra certainly did greatly open up the traditional range of possible doorways to the Divine, and is acknowledged as atypical and revolutionary for its time by scholars, it assumes a capacity for subtle perception, self-awareness, internal quiet and self-control not typically found in the American yoga scene to which Roche’s book is marketed. Needless to say, the risk of confirmation bias is greatly reduced if one can fluently read the language one proposes to render into one’s native tongue. Here is where Roche exhibits intellectual dishonesty, for he speaks to his readers as if he is an expert in Sanskrit language and literature when he is not, as is obvious to anyone who’s studied the language at the university level. Since he tells us he’s studied the text closely for the last thirty years, one wonders why in the world he didn’t bother to do one or two years of university-level Sanskrit (e.g. at U.C. Santa Barbara, almost in his backyard), which is all it would take to understand the register of Sanskrit used by the Vijñāna-bhairava-tantra. This approach, admired by his followers for its thoroughness, reveals some common misunderstandings about the nature of Sanskrit. First, Roche is fascinated by the polysemous, multivalent nature of the language; that is, the fact that most words have many different possible meanings. But he is clearly unaware that only one of these meanings applies in any given context. I’ll explain. The dictionary he uses (Monier-Williams’ Sanskrit-English Dictionary, 1896) gives all the meanings a given word has ever had over millennia, including technical terms limited to specific branches of literature as well as unattested meanings (i.e., those found in ancient Sanskrit lexicons but never actually used in texts). A Sanskritist usually knows which meaning is relevant based on context. For example, the word tantra means ‘loom’ only in the context of a discussion of weaving; in spiritual contexts, it means ‘doctrine’ or ‘framework’ or ‘system’ or ‘scriptural text presenting a specific doctrine and system of practice’ (the latter being a usage specific to the Tantric movement). Like many other modern authors, Roche thinks that ‘loom’ or ‘weave’ is the primary meaning of tantra because it occurs first in Monier-Williams’ dictionary (MW), but in fact, MW lists the oldest meaning first, not the commonest meaning. A Sanskrit reader who sees the word tantra in a spiritual text doesn’t think of a loom any more than an English reader seeing the word ‘bark’ in a book about trees would think of a dog. And this is a crucial point: the Sanskrit dictionary lists homonyms under one and the same entry; to think that any of the meanings could apply is as absurd as confusing the meanings of the three distinct definitions of the English word ‘bark’ (relevant to the specific contexts of trees, dogs, or boats) or ‘key’ (relevant to the specific contexts of locks, music, or islands). Context determines which meanings are possible, yet Roche imagines that all the meanings found in the dictionary under a given word are relevant. (It’s a strange error to make, since it implies confusion not only about the nature of Sanskrit, but about the nature of language generally.) This is why he thinks that in the scripture under discussion “there are multiple layers of information reverberating in each word,” and further claims that “hundreds of very different translations could be done. This is intentional.” In other words, he claims to know the intention of an author writing centuries ago in a language that he doesn’t read! In fact, his claim is fallacious. While translators equally competent in the language might debate about the intended meaning of verses that are purposefully mysterious (as some are in the VBT), half a dozen competent translations would exhaust the range of possibilities. And not being sure of the author’s intended meaning in every case is not the same thing as saying that the author intended many meanings. (In the case of the VBT, I am sure s/he did not.) Sadly, we do not yet have even one translation of this text by a competent Sanskrit who is well-read in the literature that parallels the VBT. Secondly, Roche wrongly thinks that the author of the VBT is constantly using the literary device of śleṣa: punning, double entendre, or paranomasia. Not being a Sanskritist, he doesn’t understand what śleṣa actually is: for example, commenting on verse 1, he says: “If we wanted to, we could hear mayā as word play (śleṣa), with the similar sound māyā.” This comment is revealing, since that is absolutely not how śleṣa works. Mayā (“by me”) and māyā (“magic, etc.”) are unrelated even if they sound similar to an English ear. Roche’s mistake is as basic as confusing the word ‘art’ (kalā) with the word ‘time’ (kāla). In fact, śleṣa works by creating contexts in which two or three distinct meanings of a word are more or less equally applicable, confusing the reader for a moment until his confusion turns to delight upon realizing the word-play. For an explanation and ingenious example of Sanskrit word-play, read this blog post. The author of the VBT rarely uses sophisticated literary devices like śleṣa, wishing as he did to reach a wider audience of initiates, not all of whom were literary aesthetes. Revealingly, Roche tells us: “I refer to The Radiance Sutras as a 'version’ rather than a ‘translation’ because I am following a different set of rules than those developed by Indologists . . .” — that is, his own set of rules, rather than the rules of Sanskrit grammar. Yet he pretends to authority, repeatedly implying that his poems are as valid a translation as any other, and displays them in his book under or side-by-side with the original Sanskrit verses so as to imply that they ARE translations (see the image below). This is intellectual dishonesty, in my view; though there are some who disagree with me. In summary, then, Roche is an aesthete writing a book of beautiful poetry inspired by a text unconcerned with aesthetics, its sole purpose being to provide seekers of liberation with new technologies. This is why his book does not represent or even correspond to the intention of the author of the VBT. Discussing these issues provides us with a much-needed opportunity to illustrate the level of qualification needed to interpret Sanskrit texts. In the original tradition, you had to master grammar (vyākaraṇa) before you could study any other art or science (śāstra) documented in texts, for obvious reasons. Educating the wider public is a crucial mandate, lest people interested in Sufism study Ladinsky’s poems or people interested in Tantra study Roche’s poems, both of which would be a waste of their time, despite the beauty of those authors’ poems. Indeed, most of those who view my critique of Roches as harsh do so because they find pleasure in his poems. There’s nothing wrong with that—I like some of them myself. But that is a completely separate issue. The poems have literary or artistic merit on grounds completely unrelated to whether they convey the intentions of the author of the VBT. Anyone who authentically loves the poems will love them even without the superimposed mental frame that they communicate the wisdom of an ancient text. And it’s only fair of me to point out that occasionally the poems do allude to or align with the actual practice being taught in the corresponding Sanskrit verse, because Roche has studied all the available translations, and therefore, sometimes, accurate pieces of translation are echoed by a given poem. But here is the main point: readers who believe that they are accessing ancient wisdom by reading The Radiance Sutras (and after reading Roche’s introduction to the book, who could blame them?) are being misled. It is a disservice to them to make them think that by reading this book, they have access to the teachings of the Vijñāna-bhairava-tantra. They most certainly do not, and since those teachings deserve to be known (in my view), an article setting forth the facts and offering accurate translations (for which see below) seemed desirable. One of the readers criticized Matthew Remski’s Threads of Yoga, a ‘remix’ of the Yoga-sūtra, with these words: “The reader is robbed of the work that will bring her insight—wrestling with the difficult ideas in the text—and instead invited to swoon for a poet.” This exactly what I think is happening in Roche’s book. The very first sentence of the scripture declares its context, a context appropriators like Roche prefer to obscure: it is a work that situates itself within the Trika revelation of the Tantric movement. 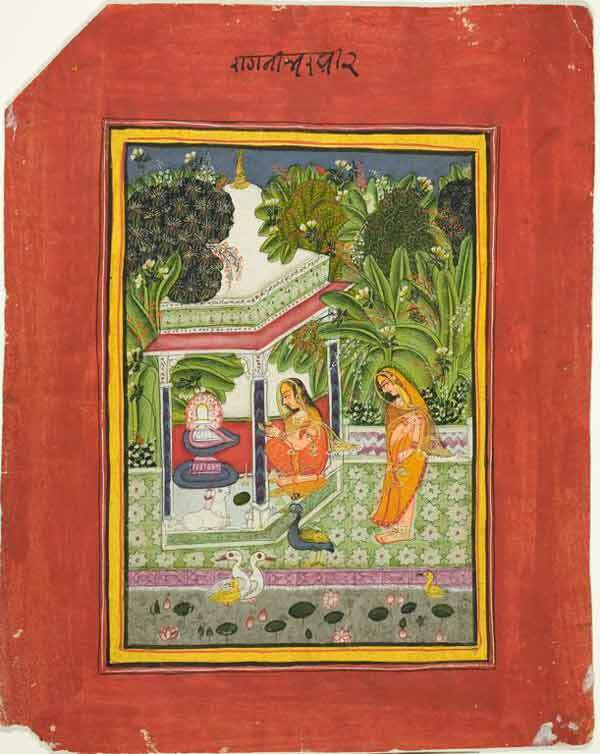 The primary deity of the Trika is Parādevī, a Tantric form of Sarasvatī. This first sentence also declares the Kaula theology of the text, focusing as it does on the union and balanced harmony of the apparently contrary complements Śiva and Śakti. Yet as noted above, Roche skews this balance in his poetry, consistently privileging Shakti over Shiva, in accordance with the cultural bias of Californian yoga. 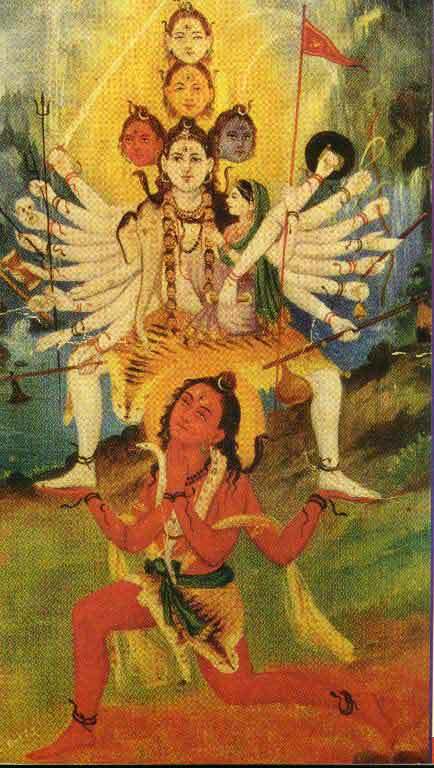 In other words, the absolutely full state of awareness (bharitākārā avasthā) which Bhairava describes is the immediacy of a joyously expanded field of awareness free of mental filters or projections; the opening to and welcoming in of the whole of the present moment without conditions; the granting of the heart’s consent to the moment as it is, releasing mental fantasies of how it could or should be; and the feeling of deep connection and presence that comes from surrendering into true intimacy with the qualia of reality as it offers itself and permeates awareness now. In this state, one’s innermost being (antaḥsva) is revealed as it really is, permeating the whole of reality (viśva-pūraṇa)—an experience that fills one with joy (anubhavānanda). The radical nature of this revelation could only be appreciated through familiarity with the cultural context of the time, in which revelations of ever-more esoteric deities was a game of sectarian one-upmanship. A plethora of complex ritual forms and injunctions is at once done away with in a profound reframing of the purpose of spiritual practice: when we access the state of inner fullness, the state of liberated and expanded awareness, we are engaged in the highest worship possible. This teaching became popular later and is still popular today, but in the year 850, it was unheard of. It was a revelation. This verse poses a fascinating challenge for the translator, because it is impossible to render it correctly without knowing the technical terminology of Śaiva Tantra. For example, jīva means both the inhale and the creative ‘downward’ movement into individuality. Also, uccaret means both to breathe (especially exhale) and to utter a mantra in sync with the breath. This is a usage not found in the dictionaries, since it is specific to Śaiva Tantra. The ‘pair of spaces’ refers to the two points mentioned in the previous verse: that from which the inhale begins (which is outside the body) and that from which the exhale begins (deep inside the body). The inside of the body is visualized as open space, mirroring the outside. One is invited to pause ( kumbhaka) at the end of each inhale and exhale and experience the spaciousness of pure awareness. The ‘Bhairava-state’ is an experience of ‘emptiness’ that is paradoxically filled with the quiet intensity of pure presence. This experience happens in ‘the Center’, which of course refers to the central channel, the subtle core of one's being. We first note that the five sense apertures are commonly called ‘spaces’ or ‘openings’ (śūnya ), but they are separate, whilst the five circles (maṇḍalas) of the peacock’s feather are nested one inside the other. Since we are instructed to meditate on the sense-apertures as the circles on the peacock’s feathers (a point missed by all available translations), that clearly implies that we should allow the sense-fields to merge. The idea may be to intentionally nest the subtler sense-energies inside the coarser ones (i.e., sound-sense nested inside touch inside visual-sense inside taste inside smell); or perhaps that level of detail is not intended here, and you are simply supposed to let them all merge into a single sensual field, as if you had a single sense-aperture. 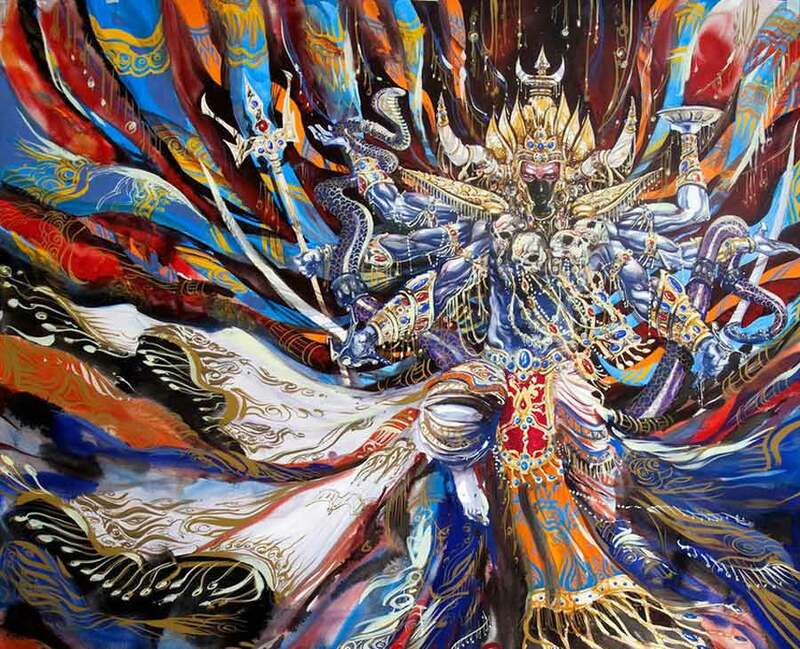 All phenomena within the sense-field, then, are to be perceived as vibrations within vast emptiness (the ‘Supreme Space’), the innermost Heart of Being, pure Awareness itself (= Bhairava). 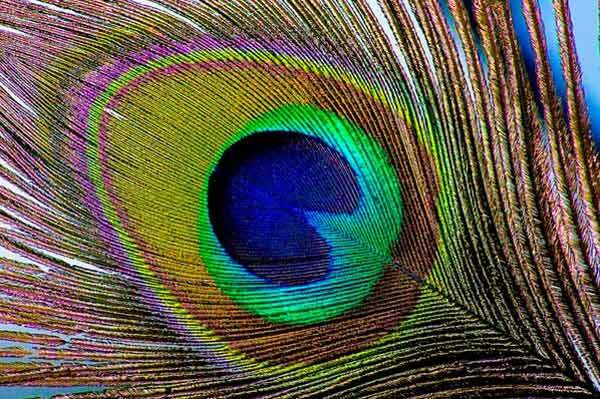 Now, at the center of the nested circles of the peacock’s feather (see image), you see an incredible iridescent cobalt blue, and probably not coincidentally, this is the traditional color of Anuttara Śiva, absolute consciousness. The verse explicitly says that through this meditation, one enters the anuttara śūnya, the Supreme Space, the absolute Heart. As far as I know, no one has noticed this correspondence yet. Verse 39 offers another example of a very specific yogic practice important to the tradition but unknown to Roche (and unknown to most translators as well). The verse clearly alludes to the central Tantrik practice of uccāra, in which the yogī repeatedly devotes a prolonged exhale to a single-syllable mantra (praṇava or bīja) such as Oṃ. Specific techniques are involved with this practice, and the scripture is not innovating when it invites the practitioner to meditate on the silence immediately following the prolonged sound of the mantra. Through this meditation, we are told, the yogī attains perfect emptiness (śūnyatā). In all fairness we should here note that the Roche poem inspired by this verse is not only aesthetically pleasing, but actually is fully aligned with the original intention of the verse; though of course he cannot convey the subtleties of the practice of uccāra (and nor can I, through the medium of the Internet). The verse clearly describes the sometimes strange somatic experiences that come with prolonged meditation and sensory deprivation. The additions I have made in brackets are not speculative; they supply information commonly found in parallel sources. This is why to translate correctly one needs to have read the relevant literature, most of which exists only in Sanskrit. In Roche’s poem, the only connection to the original verse is the single word ‘ant’. Nor is the author of this verse interested in “any thrilling experience” but specifically in a goal only attainable by overcoming the pull of the senses toward experience. This article could easily be longer, but perhaps by now the point has been well proven. Let us then consider some implications. What cultural context enables the kind of appropriation and obfuscation we have been considering? Though I don’t have the space to expand much upon it here, it seems to me that Roche’s work exemplifies some disturbing trends in American spiritual subculture(s) and American culture generally: trends of anti-intellectualism, relativism, and (as I call it) the artifice of individualism. It’s always been the case that compared to Europe or India, Americans tend to distrust (or at least not particularly respect) experts in intellectual fields. Though people are careful to go to experts when it concerns the proper functioning of their car or their body, they do not consult them before forming an opinion on matters of culture or religion. It’s almost as if the general public is unaware that expertise in these fields can equal the level of detail and sophistication found in the sciences. In the case of religion, however, the reason Americans don’t consult experts in the field is well known: the dominant paradigm of American religiosity is one of individual experience free of the necessity for priests or clerics. (This paradigm is based in Protestant Christianity, the dominant religion in early America.) What William James said in 1902 is still true today; that for most Americans, religion constitutes “the feelings, acts, and experiences of individual men in their solitude, so far as they apprehend themselves to stand in relation to whatever they may consider the divine.” Yet here’s where this otherwise respectable view goes wrong: many people don’t think they need expert opinion on anything to do with religion, even when the issues are historical or linguistic rather than strictly spiritual. Roche seems to be a prime example of this phenomenon, but I have seen many more in discussions on social media. The implications of this are considerable. Most Americans don’t understand anything of the worldview held by people of other religious faiths, from the mainstream Muslims they so easily lump together with the fanatics, to the Hindus that they either exoticize or ridicule. The latter part of the William James quote also points us in the direction of a related problem, that of relativism. This is the view that since each person is entitled to his or her opinion, all opinions are basically equal. Some extend this to the belief that all views of reality are equally valid (this is what is called relativism). Experts in philosophy have long since shown that relativism is either incoherent and nonsensical or else masks a kind of nihilism (since all views can be equally valid only if they are all equally false, leading us to the conclusion that nothing is really true). The popular (though not thought-out) American commitment to relativism has bolstered distrust of expert opinion, because after all, if everyone’s opinion is equally valid, why would you need experts? Both anti-intellectualism and relativism are abundantly on display in the modern yoga scene. Students of mine have reported to me the scorn of their fellow practitioners at the yoga studio; comments like, “Why do you need to study so much? Why don’t you just experience it? Don’t you know yoga is all about the experience? Get out of your head!” Yet this opinion is at odds with the strong intellectual culture of premodern India, the birthplace of yoga. If the texts that have survived are anything to go by, many practitioners of days gone by thought very deeply about what they were doing, why they were doing it, and what views of reality were logically compatible with the spiritual experiences they were having. They didn’t think intellectual cultivation was at odds with spiritual practice, probably because they understood that the former is necessary for a mature faculty of discernment. As a scholar-practitioner, I sometimes despair about how wide the gap is between scholarly reflection on these issues and popular lack of the same. The issues I have outlined perhaps shed some light on why modern American yogis often don’t see the value of critical articles like this one, and even regard them as mean-spirited. Too often in American yoga, only positive language is approved, and critical discourse is frowned upon, in part because of the hippie/relativist ethic that “everyone should be allowed to do or think what they like,” with criticism being seen as interference with this sacrosanct principle. But in reality, carefully considered critical opinion usually arises from love and care and the desire to strengthen and benefit whatever is being criticized. This is certainly true in the present case. I well understand that Lorin Roche and most of those in his community have had blissful experiences with the poetry that he has created and will see my analysis as unnecessary rain on their parade. Of course I have nothing against people enjoying themselves; my concern is whether they are also deluding themselves. Do they think they have access to the teachings of an ancient Tantric scripture when in fact they don’t? Do they think they have a set of practices that bring about spiritual awakening and liberation when in fact they don’t? Do they believe that the philosophies of hedonism and yoga are mutually compatible when in fact they aren’t? I think these are important questions. Foreman writes, in part: “Normally, my reviews of translations take the translation in question and then compare parts of it to the original (I do not do reviews of translations whose original language I am not competent in.) However, in the case of Ladinsky's work, this is not possible because there really aren't any originals being translated! Ladinsky's passages do not correspond to anything Hafiz wrote in Persian. At all. As I perused the volume, I could reasonably have expected to at least recognize some of what Ladinsky was translating. I didn't.” The review is worth reading for several reasons, not least amusement: http://poemsintranslation.blogspot.com/2010/04/review-gift-poems-from-hafiz-great-sufi.html. . See also http://home.jps.net/~nada/hafiz.htm . Thanks to Eve Rickert for drawing Foreman’s work to my attention. Some readers will object that Mark Singleton’s work has demonstrated that modern postural yoga (MPY) is a product of globalization in the first place, and many of the postures we see nowadays are as much European in origin as Indian. This is largely true (though exaggerated), but it hardly invalidates my point, since not only is the 20th-century set of 600-odd postures based on a premodern exclusively Indian set of nearly 100 postures, the Indian codifiers of MPY explicitly linked it to older meditative and purificatory practices long subsumed under the rubric of yoga, as well as to Sanskrit texts of the Yoga tradition. Furthermore, in hundreds of yoga studios across North America and Europe, MPY is taught in conjunction with these older practices (or at least verbally connected to them). Thus sensitivity to and education about the Indian cultural background is certainly called for. This issue, called adhikāra or ‘qualification’ in Sanskrit, will be addressed in a future article. In one of his SJ articles, for example, he tells us that “I often do thirty to forty different translations [of each verse]…” Even the term “versions” is not really appropriate. They are simply poems inspired by the text, often with only tenuous connections to it. As opposed to simply having some vocabulary. As we will see, Roche does know something about the meaning of Sanskrit words, having extensively studied a Sanskrit-English dictionary, but he does not understand the rules that govern the relation of those words. I use the word ‘hedonism’ in its narrower, philosophical sense, in which happiness and pleasure are the highest good, and aesthetically elevating experience is an end in itself. See https://en.wikipedia.org/wiki/Hedonism for a summary of this view. I am here simplifying for clarity; in fact the situation is more subtle, since Roche doesn’t categorically excise the Shiva-state from the text, but rather slips it in, seemingly as an afterthought, to a number of poems. However, the whole tenor and feel of the original text and Roche’s poetry are markedly dissimilar, not only because the former has a more equal balance of Shiva and Shakti, but also because Roche is an aesthete who enjoys beauty for its own sake, in contrast to the scripture’s lack of ornamentation and constant focus on offering practices that can bring about spiritual liberation. See his December article for Sutra Journal. Even then it can happen, as cogently explained by James Mallinson in his brilliant and witty critiqueof the serious flaws in David Gordon White’s latest book. For example, see his erroneous usage of the literary terms śleṣa (paranomasia) and yuktarūpaka (appropriate metaphor). The language of the text is relatively simple, and has none of the complexities of poetic works in Sanskrit (kāvya), such as double meanings (śleṣa) and suggestive resonances (dhvani). Some verses of the VBT are difficult, however, not because of their grammar or sophisticated use of language, but because the author is guarding esoteric practices by giving incomplete information, or, occasionally, using special code words (sometimes known as ‘twilight language’), such as in verse 68. Roche believes that the VBT is as linguistically sophisticated as a kāvya work becauses he lacks basic knowledge of Sanskrit grammar. In fact, the text is purposely speaking a language anyone with basic Sanskrit can grasp, though even readers with good Sanskrit will miss the esoteric practices unless they read the text with a teacher who can explain them. This is why beginning students should use Apte’s dictionary, not MW, since Apte lists the most common meanings first. But to use Apte one must be able to read the Devanāgarī script. My current favorite translation of the VBT, besides my own, is the one by Dmitri Semenov , since that has two out of three requirements I would posit for a translator of the text: the author knows Sanskrit and has done plenty of yogic practice, but is not well read in the primary sources that parallel and predate the VBT. It is to be hoped that in the near future we will have a translation that fulfills all three of these requirements. Roche’s ignorance of this fundamental fact is revealed when he tells us “In her initial questions that invoke the conversation, Devi uses the termpara…(far, distant, opposite, previous etc. ),” seemingly unable to distinguish the adjective para from the proper noun Parā. 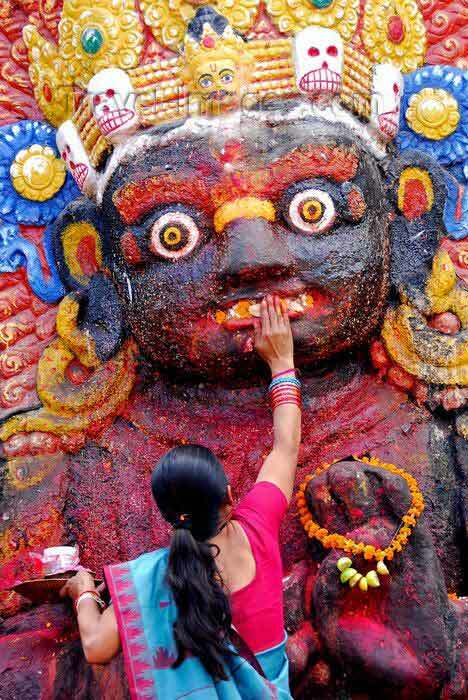 Such as Navātman, Triśirobhairava, Śabdarāśi, the three Trika Goddesses, bindu, nāda, ardhacandra, and nirodhika. I am indebted to my teacher Alexis Sanderson for proposing a reading that makes sense out of the problematic grammar of verse 13. See his “Visualisation of the Deities of the Trika” , 1990, p. 75. Roche thinks the literal translation is “meditate on the five voids — the five voids that are the ultimate sources of the five senses. 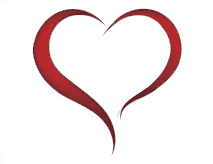 Follow them to the end, and enter the heart.”; whereas Jaideva Singh has ‘The yogi should meditate in his heart on the five voids of the five senses which are like the five voids appearing in the circles of motley feathers of peacocks. Thus he will be absorbed in the Absolute void.’ Neither are quite correct. Here eyes count as one (because the two eyes sum their visual data), nose counts as one, ears count as two (because stereo imaging), plus mouth = five. Such a practice is central to the kula-yāga rite in Abhinavagupta’s Tantrāloka, chapter 29. If the now very common view of relativism masks an implicit nihilism, perhaps this explains the undercurrent of existential despair that seems to pervade American consumerist culture. by Christopher (Hareesh) Wallis, Ph.D.
About Christopher (Hareesh) Wallis, Ph.D.
Christopher (Hareesh) Wallis was introduced to Indian spirituality at the age of six and initiated into the practice of meditation and yoga at sixteen. His degrees include a B.A. in Religion from the University of Rochester, an M.A. in Sanskrit from U.C. Berkeley, and an M.Phil. in Classical Indian Religions from the University of Oxford. He also pursued graduate work at U.C. Santa Barbara, and completed his Ph.D. at U.C. Berkeley on the traditions of Tantrik Shaivism. He received traditional education at yoga āshrams in upstate New York and India in meditation, kirtan, mantra-science, asana, karma-yoga, and more. He currently teaches meditation, yoga darshana (philosophy), Sanskrit, chanting, and offers spiritual counseling. Hareesh is the Founder and Head Faculty of The Mattamayura Institute. His teachers, mentors, and gurus, in chronological order, include: Swami Muktananda; Gurumayi Chidvilāsānanda (diksha-guru and mula-guru), Paul Muller-Ortega (Shaiva Tantra and Classical Yoga); Douglas Brooks (Shakta Tantra); Alexis Sanderson (Shaiva and Shakta Tantra and Sanskrit); Marshall Rosenberg (Nonviolent Communication); Somadeva Vasudeva (Shaiva Tantra), Dharmabhodi Sarasvati (Tantrik Yoga); and Adyashanti (Meditation). Hareesh is author of Tantra Illuminated: The Philosophy, History, and Practice of a Timeless Tradition.